Recently, someone showed me a handout she’d been given on vocal warm-ups. She pointed out a paragraph advising against exercises using the ng consonant — the hum created by placing the back of the tongue against the roof of the mouth. It’s the sound you make, for instance, in the word hangup. According to the handout, making this sound can cause a habit of tongue tension that is difficult to correct. Don’t you dare put your coffee cup on my piano. When we swallow, the tongue comes up against the roof of the mouth. (Try swallowing without letting the tongue touch the roof of your mouth, and let me know how it goes.) Maybe we should prohibit swallowing so we don’t develop patterns of excessive tongue tension. Perhaps you get where I’m going here. The tongue has to move when we use language, whether for singing or speaking. It moves a lot. It’s probably the most flexible group of muscles in the body (good for you, tongue!). At the same time, excessive tongue tension (which you can probably invoke by saying “excessive tongue tension” ten times fast) is a very real issue for speakers and singers alike. Every singer needs some skills to help find a balance between necessary tension and necessary relaxation in the tongue. Here’s just one I’ve been using recently. 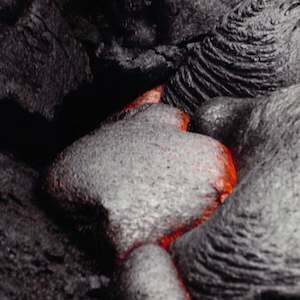 It might not work for you, but there are days when a nice, plump lava tongue does the trick. Imagine your tongue is a river. You can think of it as having a unidirectional flow through its length, or you can think of a flow that eddies and swirls. You might feel like you have some increased salivation with this exercise. Saliva is part of the alimentary system, and we salivate more when we’re relaxed and the parasympathetic part (rest and relaxation) of our autonomic nervous system can get down to business. (Conversely, lack of salivation, or dry mouth, is often a component of performance anxiety. Your fight or flight instinct kicks in, and your body figures it can take the production of saliva off line for a little while, while you channel your energies into getting away from the tiger that’s chasing you). Because I live in Minnesota, where, as I write, it is still winter, I also like to use a little flow imagery I collected some years ago on a trip to the Big Island of Hawaii. There, in addition to being toasty warm, I was lucky to visit an active lava flow in Volcanoes National Park. Try thinking of your tongue as a slowly flowing and expanding tongue of lava. Which reminds me of another of my studio prohibitions.